I am a layperson about to embark on a journey of interpretation. My family subscribes to a magazine called Teknisk Ukeblad. Every once in a while they have articles that really exite me. have collaborated in the making of an accelerometer that measures heart motion and is small enough and resistant enough to be stitched on to the heart and remain there post-surgery. WARNING: Pictures below are of heart surgery on a pig. It is what it is. Medical science is a field that has changed quite a bit over the past century or so. We now have equipment that makes it possible to make tiny incisions and operate through them. I remember getting my appendix taken out when I was thirteen. That left me with ten stitches and a 5-8 cm scar. Last time I went in for an operation the surgeons cut two 1 cm holes in my stomach (one in my navel) and used one stitch and I was released the same day. Wow! All because of technical doodads that make the impossible possible. One such doodad is being developed in a cooperative effort between The Interventional Centre, Oslo University Hospital, Norway; Vestfold University College, Tønsberg, Norway; Department of Cardiology, Oslo University Hospital, Rikshospitalet, Oslo, Norway. Thus far (2013) the team has been using pigs to test how well their accelerometers work. These accelorometers are used to measure heart motion during surgery. An accelerometer is an instrument that measures acceleration. In this instance the accelerometer has moved into the medical realm and in this case to the heart. In 2004 L. Hoff from Vestfold Univ. Coll., Horten, Norway; O.J. Elle; M. Grimnes; S. Halvorsen; H.J. Alker; and E. Fosse presented their paper called Measurements of heart motion using accelerometers [surgical applications] at the Annual International Conference of the IEEE Engineering in Medicine and Biology Society. Placed on heart: The accelerometor is stitched on the heart’s surface. It has curved tip that helps hold it in place. The sensor itself is mounted on a flexible substrate that also works as a link to the computer. The cabel is encapsulated in medical silicon to give it electrical isolation and because body tissues and the heart can only be in contact with biocompatible materials. Measures heart motion: The sensor’s shape is so it can be placed on the heart. The next generation sensors will be a great deal smaller. From the first joining of two commercially available two-axis sensors into a three-axis accelerometer work has continued on the development of the three-axis accelerometer. I am not going to go into detail on that development because I am simply utterly unqualified to do so, but I would recommend that you check out this article: Piezoresistive three-axis accelerometer for monitoring heart by Craig Lowrie, Christopher Grinde, Lars Hoff and Marc Desmulliez. Section 3 presents the design of the accelerometer and its operating principle while section 4 presents the sensor fabrication. Today three-axis accelerometers are common, fairly cheap and reliable. This whole time the researchers and technicians have worked to make the three-axis accelerometer smaller, more reliable, biocompatible, noise resistant and able to withstand the electrical impulses that heart starters give off. So the researchers have really had their work cut out for them. When the accelerometer is stitched on to the heart it measures the heart’s motion. While anesthesized a pig is cut open, the accelerometer stitched to its heart and motion data recorded. Motion abnormalities, e.g. arrhythmias and fibrillation, are then identified in the motion curves, and confirmed by comparison with synchronously recorded ECG data. The truly amazing part of the miniaturized accelerometers is that they allow the medical personell to keep a watch on the patient’s heart after the chest cavity has been closed up because the accelerometer still gives off information. That way the chance of discovering a heart-attack at its beginning increases and the survival rate of open heart surgery patients increases. Not only do the researchers aim to improve the surveillance of post surgery patients, they also wish to make heart transplants in and of themselves redundant. A heart transplant is a brutal affair (see proceedure here). Sometimes a person’s heart is too weak to pump blood on its own – this can happen while you are waiting for a new heart. When this happens, surgeon goes in and attaches something called a “Left Ventricular Assist Device” (LVAD) to your heart and it assists in or takes over the pumping function of your left ventricle. By fastening the accelerometer to the heart and having it remain there the LVAD’s effectivity might increase to an extent that the patient is able to continue living a long time without having to struggle with the side-effects of a heart transplant. This is because the accelerometer measures individual heart motion and the doctors are able to adjust the LVAD to the individual and keep their left and right heart ventricles in balance. 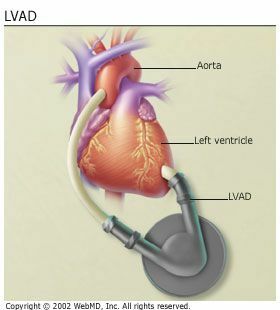 It would also enable the LVAD to adjust so that increased activity also gives increased blood flow. By connecting the accelerometer to some external source (cell phone) the doctors will have the ability to adjust the LVAD long distance making life a whole lot simpler for the patient. Although the researchers have not quite gotten to that point yet, they are well on their way. I have to say again that I am a layperson. Whatever mistakes you might find in my article are due to my incompetence and not the work of the researchers behind the miniaturized accelerator for measuring heart motion. Craig Lowrie et al (2005) Piezoresistive three-axis accelerometer for monitoring heart. This Norwegian method has been patented and the Company Cardiaccs AS and HiVe owns the rights to the method. Inven2 (owned by Oslo University and Oslo University Hospital) is responsible for patenting and future lisence agreements regarding the Norwegian Technology.